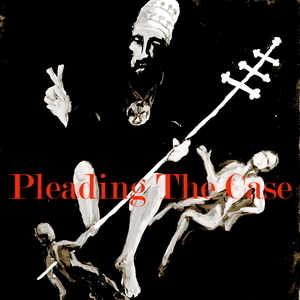 We found 10 episodes of Pleading the Case with the tag “worship”. In Matthew 5:13 Jesus says “You are the salt of the earth. But if the salt loses its saltiness, how can it be made salty again? It is no longer good for anything, except to be thrown out and trampled underfoot. The lines between the law and grace, not unlike 2000 years ago when Paul addressed this in his letter to the Galatians, may be equally as blurred, if not more so, for much of the church today, thus creating a hybrid Christian faith, if you will, that has become dangerously close to losing its saltiness. Episode 10: A Samaritan You Say? Based on the parable of "The Good Samaritan" this is a companion episode to "Racism, Faith and Worship, Oh My!" If Jesus were giving this parable today who would he have passing by on the other side of the road? Who would he have representing himself, instead of the Samaritan? According to this parable much of who we think of, today, as being the "evangelical church and her leadership, is really not all that different than Israel's leadership was when Jesus first recited this parable to the "expert in the law." Episode 9: Racism, Faith and Worship, Oh My! The text for this episode is John 4:3-42, Jesus' encounter with the Samaritan woman at the well. This passage reveals so much to us, especially about worship, and what it actually looks likes and means to worship God in "the spirit and in truth," and why this has nothing to do with a worship service and everything to do with what we do outside of a worship service. Episode 8: Part II: Widows, The Fatherless and Worship, Oh Why? Based on James 1:27 the second part of this series begins by reviewing Part I in the context of worship, and then focusing on the words "undefiled, "visit" and "the fatherless." This episode concludes with an assessment made for the present condition of the church in America, and possibly around the world, and why James 1:27 is the most accurate litmus test for determining this. Episode 7: Part I: The Widows, The Fatherless, and Worship, Oh Why? In Episode 7, Part I, using James 1:27 as the litmus test, reveals how deceived the church, especially in America, has become and why. Part V concludes the series "The Church As Last Eve-Proving Jesus Came To Redeem A Bride." Based on Genesis 2:25 "Adam and his wife were both naked, and they felt no shame" as well was Acts 12, the account of Peter being imprisoned by Herod, bound and shackled and then delivered out of this setting by an angel. In the second part of Genesis 2:23, "the man said...she shall be called ‘woman,’ for she was taken out of man.” In Part III of this series Andy Mendonsa examines the correlating events and person(s) that symbolizes, perhaps both literally and figuratively, the person that Jesus, as Last Adam, calls "woman." Presenting yet even more compelling proof that Jesus came to redeem a bride. This is the 2nd episode in the series focused on the correlations between the creation of Eve through Adam and Jesus coming to redeem a bride. This episode picks up where episode one left off at the end of Genesis 2:21 and covers all of verse 22 and the first half of verse 23, "The man said, this is now bone of my bones and flesh of my flesh." Based on the correlation with Jesus for the first part of verse 23, even our traditional views and practices for taking communion (The Lord's Supper), are called into question. This first broadcast of "Pleading the Case" begins by posing the question: Is it possible to have the right Jesus for salvation and yet the wrong Jesus for living it out? If you have never considered this as a possibility, then the answer might surprise you, especially for what it reveals to us about our present condition as the Church, Christ’s bride?